Happy (early) Halloween everyone! I know we’re still in the early parts of October but this time of year has always been my favorite and I can’t help but get in the mood. To start off the month we just had our second Standard Regional Championship of the season wrap up in Memphis, Tennessee and are looking towards the third at the end of the month! Fortunately for everyone, the third Regional of the season is set to utilize our Expanded format. It’s no secret that I have always preferred the Expanded format to Standard, and as a result I’ve been testing that format exclusively since bombing the Philadelphia Regional Championship in early September. Because of this, I’ve been testing all kinds of decks to try and figure out how the meta will shake out. I’m not certain that a lot of people have really grasped this yet, but the Expanded format has seen massive changes recently that have remained relatively unexplored due to the lack of Expanded events to motivate the competitive base. 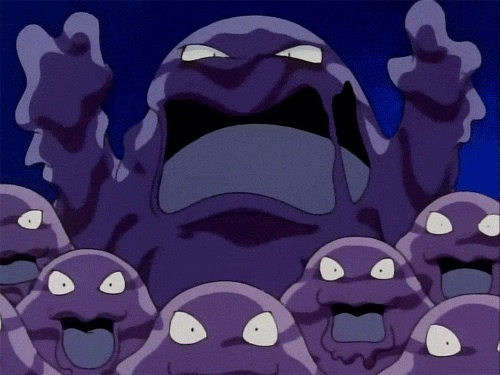 Our last major Expanded event was Roanoke in May, and since then we have seen the banning of format defining cards like Puzzle of Time, Hex Maniac, Ghetsis, and Wally in addition to the introduction of both Celestial Storm and Dragon Majesty. These changes have lead me to do a lot of exploring of the format, and on theme with the month I want to present the Good, the Bad, and the Spooky results of my testing so far. Adapting Zoroark to the new Expanded format has been a bit interesting. As the deck clearly hit the hardest by the bans, it feels like a shell of the deck it used to be, but do not underestimate the raw power of Zoroark-GX and Sky Field. It is still consistent as ever while hitting like a truck, but now they can’t pull of a cheesy Red Card + Hex Maniac or Ghetsis plays that can completely shut one player out of the game. The deck is still incredibly powerful and likely Tier 1, but definitely not at the previous power level and is more kept in check by tech cards like Sudowood GRI. From testing I’ve been enjoying both Lycanroc-GX and Alolan Muk, but the 1-1 lines of both is a bit inconsistent. Choosing to go 2-2 of either or simply finding other cuts to thicken the lines seems perfectly reasonable considering how well both cards fit Zoroark-GX. Out of the gate I think a lot of players will default to Garbodor lists similar to those that had the most success last year. The Dimension Valley version won Daytona Regionals before Zoroark-GX was printed, and the Parallel City version saw the most success after Zoroark-GX cemented itself in the meta. My testing so far has shown both Banette to be powerful inclusions for a lot of different reasons, and being able to rely solely on Mysterious Treasure for search is incredible for avoiding tough discards. This variant will struggle a bit more against Zoroark-GX, but I think the meta will open up a bit because of the bans. With Dimension Valley I’ve been shuffling between a few good single prize attackers like Mimikyu, Oricorio, and Mew FCO to varying degrees of success. Having Trubbish PLS as a single prize attacker is already so powerful, as 6 tools and Choice Band leaves you doing 150 damage +20 for each tool on your opponent’s side of the field. Xander’s winning Virginia list is a great place to start with the deck. The deck was not really affected by the bans at all and didn’t gain any significant new tools, and to be completely honest Buzzwole-GX/Lycanroc-GX has never been a deck I’ve been interested in ‘figuring out,’ so I have really only been using Xander’s list as something to test other concepts against to test their merit in the Expanded format. If I were to try and figure the deck out there are a couple of cards I’d be interested in trying out. 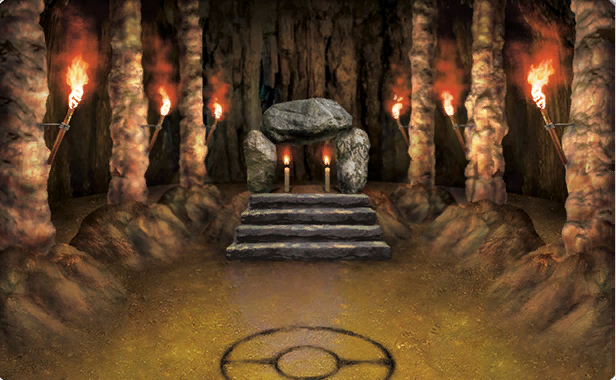 The first is Regirock CES, which has seen mild amounts of play in the Baby Buzzwole focused decks. Wide Lens is cute against decks like Zoroark that have evolving basics with a fighting weakness, but it is likely too niche and probably bad. Not playing the 4th Strong seems a bit odd too, but the list does appear to be awfully tight. Before we move on I need to be absolutely clear that I still believe Gardevoir-GX/Gallade is the best deck in the format, but my list has not changed since my last article so I’ll refrain from reposting. So, to be clear when I call something ‘Bad’ I don’t mean that it is unplayable garbage—quite the contrary actually—but rather that deck is fragile or has some fundamental concern that would keep me from taking into an event like a Regional Championship with an expectation of going deep. I do think this deck is surprisingly better than I thought it would be when I first started testing it, but it really lacks a way to be aggressive and close games out quickly which would scare me out of rolling the dice in a Best of 3 50 Minute format where all of your wins will take 20-25 minutes while you could easily lose a game in 10 if you’re drawing poorly. I tested all kinds of wacky stuff in from Donphan to Counter Energy Attackers to other Stage 2 Dragon lines like Salamence-GX and its many non-GX counterparts, but unfortunately I think the Regional tournament structure is a bit hostile to a slower deck like this. It could be a solid choice in a Best of 1 format like Swiss rounds during most League Cups. Before starting, I thought I’d do what I can to assuage those out there still hyper dedicated to the once format-defining, tiny but mighty, Night March. I am not, have never been, and will never be committed to this archetype the way other players have. I have literally never played it in a competitive event, and all of my experience with the deck is strictly from testing with or against it outside of real events. Similar to Buzzwole, it is not a deck I have ever been interested in figuring out as demonstrated by the above list being what I’ve tested with and against sourced from Night March enthusiast himself, Peter ‘Joltik’ Kica. With that being said, Night March had already been pushed out of the format by Zoroark-GX because it did what Night March wanted to do, but much much better. I believe the bans hurt Night March equally as much as Zoroark, and that Zoroark will do much better at surviving their impact. Oricorio is a much harder counter to Night March than Sudowoodo is to Zoroark, and I would honestly even go so far as to say that Vespiquen seems like the better Battle Compressor deck as well. Please keep in mind that I have never liked Night March as a deck, but I think results of Expanded once Zoroark-GX entered the format last year demonstrated that more than I could convey through text. The Ultimate Spook^TM just in time for Halloween. Seriously, though, a ghost winning Portland Regionals would be the most fitting considering the timing, and I legitimately believe that Trevenant has a shot at the title. I started off with a much more tech-heavy list including cards like Lusamine, Silent Lab, and Wobbuffet, but the very first time I tested against Zoroark-GX, I very quickly realized that the bans didn’t change this match up very much at all. If anything the changes are slightly in your favor because losing the possibility of T1 cheese is much better than their losing Hex Maniac. The Zoroark match up is still all about chaining Trevenant and trying to run them out of energy and/or devolve all of their Zoroarks at once so maximizing consistency over techs is imperative. I have not minded the Wally ban nearly as much as I thought I would, because even though it lost the cheesy T1 wins by going first, it now has more consistent options throughout the game. Consistently using Brigette or a draw Supporter on your first turn is much more productive for setup and fun on both sides of the table. Zoroark remains a sketchy match up as always, but the loss of Hex across the board is much more beneficial than the pain of the Wally loss. I definitely wouldn’t be scared to bring out the Giratina Promo at Portland if BREAK decks get any amount of hype. I didn’t take this deck seriously before Worlds because from my testing it got crushed by Zoro Control and wrongly assumed that deck would be very popular. In hindsight it was definitely one of the best calls, and I regret not giving it more serious consideration leading up to the event. The deck translated incredibly well into Standard, and I have no doubt that it can accomplish something similar transitioning into Expanded. It gains all the tools it lost going into Standard from the World’s format in addition to a few other tricks. I’ve only recent begun to test this deck out in Expanded, and took our own Christopher Schemanske’s T16 Worlds list and fit it to the format with some editing here and there. Initial results are that the concept is still incredibly powerful, but I think the list could use some rounding out. Playing the VS Seeker engine is a little odd without playing Tapu Lele-GX or Battle Compressor, but VS Seeker is a card I have always loved and enjoy what Teammates, Korrina, and Colress bring to the deck. Cards on the table: I have not tested this deck at all and only recently chucked the list together when I found out that the Solgaleo-GX Promo will be legal just in time for Portland Regionals. The Solgaleo-GX from Sun and Moon is a card I’ve always really enjoyed and honestly thought it would be much better than it’s been. 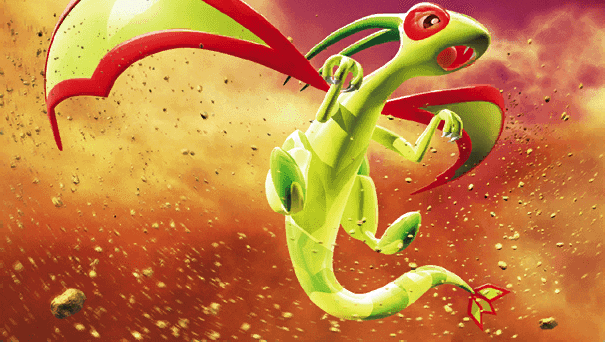 We saw Drew Kennet score a T16 at the Anaheim Regional Championship with a wild Lurantis-GX/Solgaleo-GX deck, but other than that, the card has been somewhat of a flop. However, with the Solgaleo-GX being able to do the same thing as Lurantis-GX without the need for Grass Energy or another evolution line, it seems worthwhile to figure out if there is something here! The DCE requirement on the Solgaleo-GX Promo is rather annoying, as it limits any exploitation of another energy type through the Promo’s basic acceleration out of the discard and/or the S/M’s GX attack, which pulls a whopping 5 Energy from your deck to attach however you like. I decided to go with Bastiodon over Aegislash as a special energy wall for a few reasons: 1. Bastiodon affects ALL of your Pokémon, severely limiting their Guzma outs to the obstruction 2. It is not a Basic, and is therefore not shut off by Alolan Muk, which will likely be very common in Zoroark decks. This piece was definitely a bit different than others of mine in the past. I generally don’t enjoy the ‘Decklist dump’ pieces because it feels like there is much less real content discussion, but with so much change happening in Expanded and there being very Expanded content or development since these changes took place that it seemed pertinent to provide everyone with some solid ground to start working from. This is by no means an extensive list of viable decks in the Expanded format, but it is a solid list of everything I’ve given attention to so far. Still on my plate is Vespiquen and the variety of bench acceleration variants (Bronzong, Eelektrik, Malamar), plus who knows what else I’ll come up with in the next couple of weeks. As always; please feel free to reach out and say hello anytime at any event and I absolutely cannot wait for the Portland Regional Championship. Until next time!